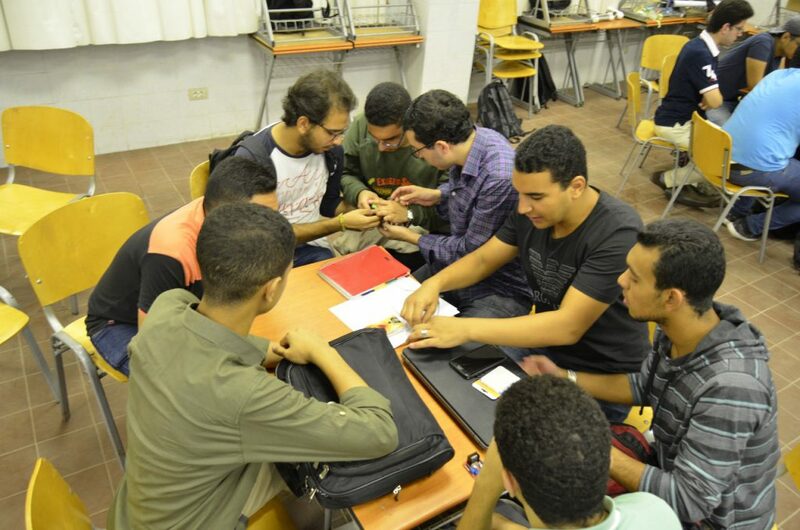 Pharos Student Branch of the Institute of Electrical and Electronics Engineers (IEEE) organized a three- week workshop that started on Tuesday 31/10/2017. 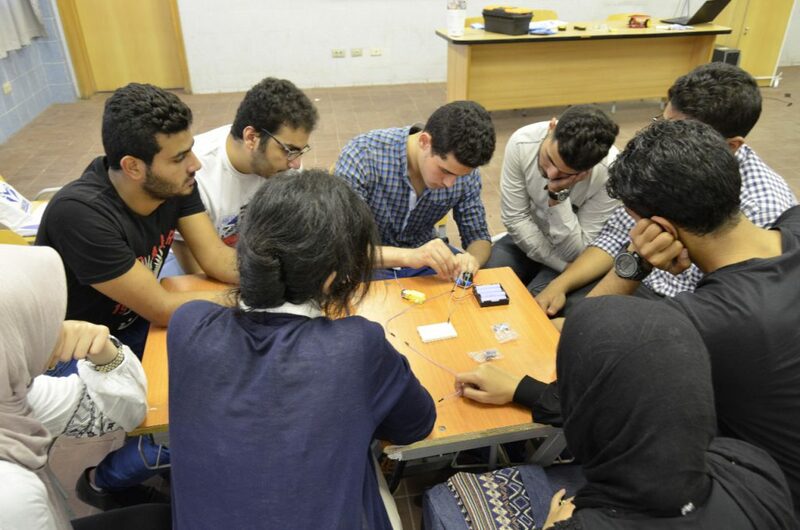 The workshop aimed at training students from different departments to make a Line Tracking Robot. The workshop was attended by 35 students from Electrical Engineering, Mechanical Engineering and Computer Engineering Departments. The students were acquainted during the workshop with Robot industry, Microcontroller programming, Motor Drivers and the programming language of the control systems of robots. The students also gathered some parts of a robot and wrote its code.